I have to repeat it. For silicone molds, try: SILASTIC 3481 and 5% (or more) SILASTIC 81-R NW hardening agent. I clearly state that I do not know the manufacturer or any distributor, but I am a very happy user. I don't know which of your work deserves more respect. Are this the thought-out solutions for the ships or are this the drawings for the guidance to build them? I can not decide, because i admire both skills. I was looking at your figure sculpts. Sure I like them. The work on human anatomy, and I can see the wear and tear to bring out the figure. We were talking on other threads about the anatomic features of Cannes creatures. This year there is another French film about Rodin, the French sculptor. Don't get headgrow - you are not Rodin , but your sculpting reminds me of some of his statues. The carving of a human expressive body out of an indefinite mass. I have been reading your words over and over again to make up my mind about what to do. Much of these subjects have been discussed already but its always interesting to consider their use again. There were too many interesting things said by all of you so I will not reply to all of you at once. That is the first advice Kostis gave me last year. I was not very successful in that. Most of my objects are too complicated, or have holes running through it. So I preferred the technique used by Phersu, making a two part mold without funnel and entry hole and without air vents. I fill up both halves and when the chemical process creating air bubbles in the resin is almost finished, I press them together. I think you must be right. I already replaced them for iron wire. Its important to strengthen both ends of the resin yard with something inside, because of the tension that will be created after rigging with threads: the yard ends may snap off or curve excessively. Fresh resin weakens the cured resin base. So it works not only as glue. Its possible to add layer or massive 'dot' to a damaged area or just to add a new part. After curing this additional resin has such strong cohesion, it can be cut, drilled and worked in any way again. 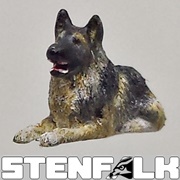 Using the electric Dremel machine the cured resin can be shaped in any desired shape. Thats how I fixed lots of damaged sails last nights. Shiny resin spots are all fresh resin layers added for repairing purpose. Yes putty is more easy and much faster. But the cohesion is much weaker and using resin upon resin (unless the right color tone can be re-created ) looks more professional in case any of it is sold or donated to any other person. Frankzett wrote: If you need exact measures with thin castings, take braces with the mould, because some bulging with the filled mould . Hmmmm The problem is not the bulging outside, its the bulging inside I tried to prevent. With such thin sails or shipboards (1mm) over a length of 14 centimeters, I feared the inside collapse of very soft, fluffy silicone rubber. Braces or a supporting box around can not prevent that. 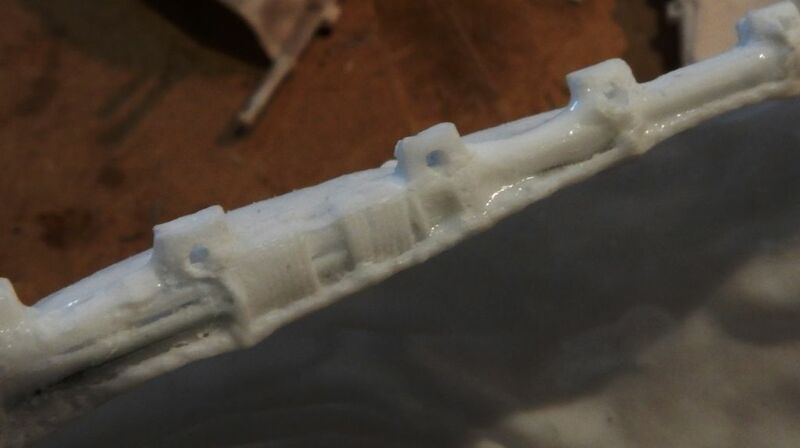 That will not be the case when the moulds are casted thick and heavy and massive. But that will cost me too much silicone. Exactly that is why I bought the much stiffer blue rubber, (that created those bubbles) I hoped I could use this for making very thin mould halves without collapsing inside. The softer transparent and the cheap white rubber I used shows far less airbubbles. And my favorite silicone rubber is the green one I bought from Hagen miniatures: those people know what 'we' need it for. Still I believe most (though not all) the bubbles in that stiff blue rubber appeared because I used (excessive) parting liquid. I should try without. Wiking wrote: I feel me honored to be asked such a question by you! Sure! Thats because you build several traditional Asian ships already. Though those represent 20th century ships, those traditional ships are a great inspiration for research on ancient ships and sailing. Wiking wrote: I ignored in the past the different size of rigging. But want to change it in the future. 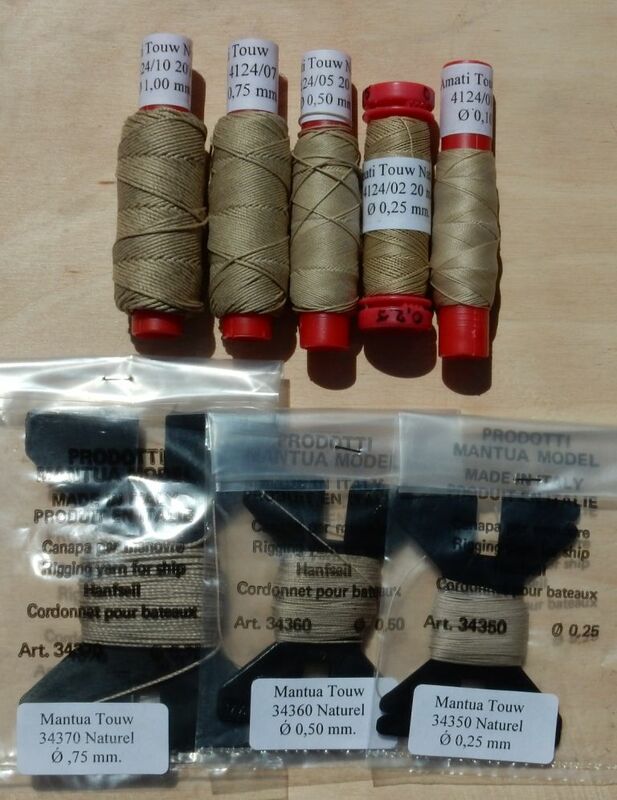 Amati and Mantua rope, both from Italian producers I presume. 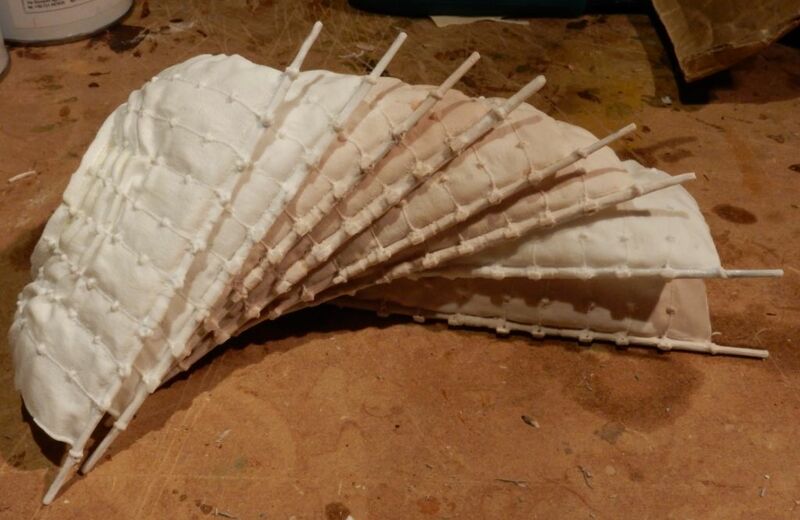 It can be colored but I don't: I soak them in water&white glue mix before knotting them or shaping them into desired curves since part of the rigging should not be straight and tight but loosely hanging down in curves. Mr. Cryns wrote: Only this week I discovered the use of resin to repair resin. The model ropes you have ordered look great. Mr. Cryns wrote: I soak them in water&white glue mix before knotting them or shaping them into desired curves since part of the rigging should not be straight and tight but loosely hanging down in curves. Cyanoacrylate glue works fine with me. I first attach the rope then aply it with my fingers and I work the curve with a metallic rod. 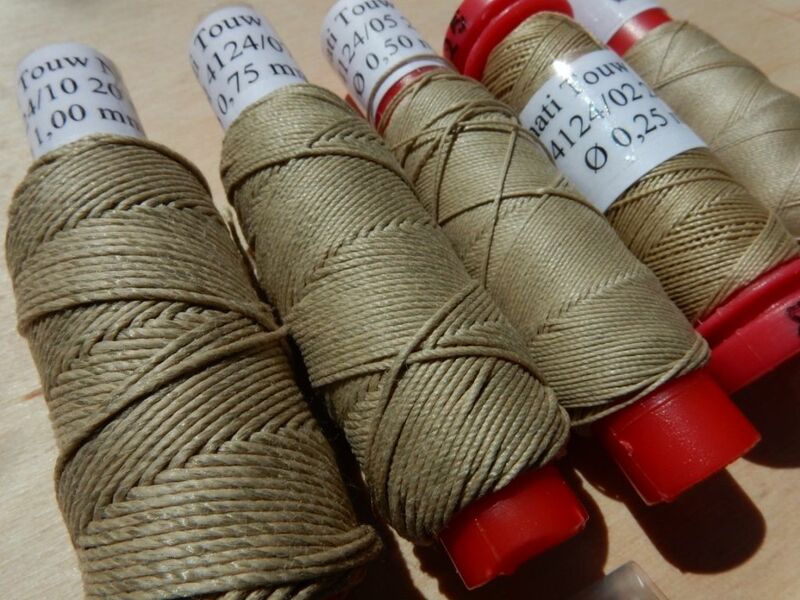 ... rope from a company in Den Helder where our Dutch fleet is based. No surprise to me why Trump will these 2% more invest of the European states into military. On the other hand. The Victory is still as a battle ship in the UK. And we get one way planes. Not to confuse with kamikaze! With the A400M to Lithuania save, then the motor get a breake down. Yery kind from you to give us these link. The different size of rope look indeed very useful and in color fare more realistic as the one I get with the Airfix Bounty. For me, fastening the ropes is more easy after adding water&white glue (at least the end stretch that will be knotted) since this stops the wire from straighten and unwind itself. 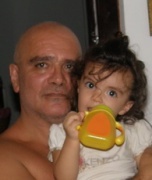 Kostis Ornerakis wrote: I thought I had already mentioned this, but obviously I do not have it. Possibly you did. But as you know I am a poor student when it comes to just reading. Thats why I was a poor student on highschool Especially by practicing I learn and remember new things. Again this is an example of that mystery around you, Kostis: you came out of nowhere to our forum with a huge load of knowledge and skills of which nobody knows where you got that. Knowledge which you don't spread out over this forum but you only share it with us in small bits. That keeps me curious and fascinated. And I am not the only one I presume. sberry wrote: When something at the bigger model companies goes wrong, one gets only some imprecise information on ”problems” – or no information at all, just “release date to be announced”. Right. Why did Hat Etruscans and Spartans never go into production??? Those were exactly the ones I was waiting for, for many years. There can be all kinds of reasons... like a conflict between producer and sculptor? The first thing I was told about moulding rubber: good stuff is expensive. Kostis Ornerakis wrote: I have to repeat it. For silicone molds, try: SILASTIC 3481 and 5% (or more) SILASTIC 81-R NW hardening agent. Okay I will order and try it. stenfalk wrote: Are this the thought-out solutions for the ships or are this the drawings for the guidance to build them? Well to be honest: both. It was supposed to be a manual so you will know how to attach cables and blocks. But, as you can see, during the drawing of it I changed my mind several times. Glad I did it all in pencil. It can be wiped out and corrected. Thanks for your compliments Mr. Robert! It must be because of the technique used: tiny spheres of putty applied to the basic frame one by one to represent different muscle groups until I think the figure has the right proportions. It looks rather expressive in stead of realistic. But for me its the best way (so far) to create the human body. Mr. Cryns wrote: It must be because of the technique used: tiny spheres of putty applied to the basic frame one by one to represent different muscle groups until I think the figure has the right proportions. It looks rather expressive in stead of realistic. But for me its the best way (so far) to create the human body. A very good idea with the repairing of the casts We see it works fine! I made one-piece-moulds with the green more stiff silicone too, it had advantages indeed, but I thougt it was not so good to make such moulds. So I prefer the soft one, especially If you have moulds with straight sides , to work with plates at the sides and braces to hold it in form. I see the problem is the pressure, not to collapse the mould with the thin model - I think this is especially the challenge with your models. 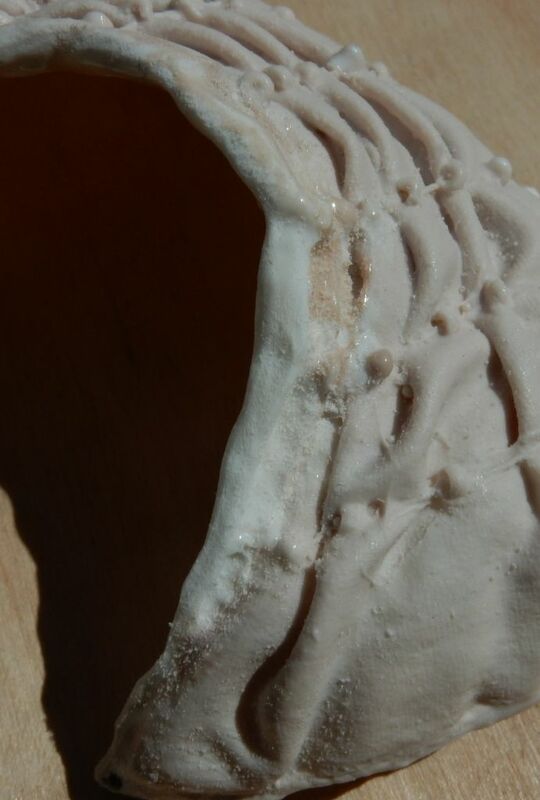 The other is the funnel or hopper of the mold, i fyou sculp a hopper block at your master model, there is the problem to remove it from the casts; yes - but there is a reservoir where the bubbles can escape and in the same time resin can run in the mould. For me, it was very helpful to study resin kits, how they design their moulds with their hoppers etc. you can see reviews of such kits for example on the Perth Military Modelling Site (PMMS) - They are casting with vacuum of course, but it looks that they largely use moulds in one single piece. MY ONE IS ONLY FOR RESIN CASTING!!! About 1 hour ago I received a packet from Mr. Cryns which contained the Phoenician barge and the Greek edition of the Uluburun ship. I think everybody knows in the forum that I consider Mr. Cryns a very good friend of mine but I really respect the members of the forum so my humble opinion will be really honest. I could never imagine such an excellent quality. The photos do not justify the high quality of the casting. I already knew that Mr. Cryns has no professional machines and furthermore he had refer tiny bubbles in the castings. Well they are minor almost they are not noticable. Mr. Cryns has generously allowed me to post pictures of my new wip (Phoenician barge) in his thread so I'll be back soon. Kostis Ornerakis wrote: About 1 hour ago I received a packet from Mr. Cryns which contained the Phoenician barge and the Greek edition of the Uluburun ship. Now I am really curious to see those WIP pictures. Given the quality of Mr. Cryns' ships, and the quality of your own work, I expect some pretty awesome photos! Frankzett thank you so much for your information. I will use it, for sure! Kostis Ornerakis wrote: excellent quality. The photos do not justify the high quality of the casting. sberry wrote: Now I am really curious to see those WIP pictures. Given the quality of Mr. Cryns' ships, and the quality of your own work, I expect some pretty awesome photos! Mr. Berry I have seen Kostis' first WIPS already. I don't know what he did to my castings but at his desk they look much better than at mine: shiny and perfect like he polished and waxed them. For those of you who are expecting the postman with a package soon: I casted 3 new ship kits (210 big and small resin objects alltogether ) but before shipping them I would like to show them at our Figz exhibition in Arnhem this weekend. So I ask for your understanding and patience in this. 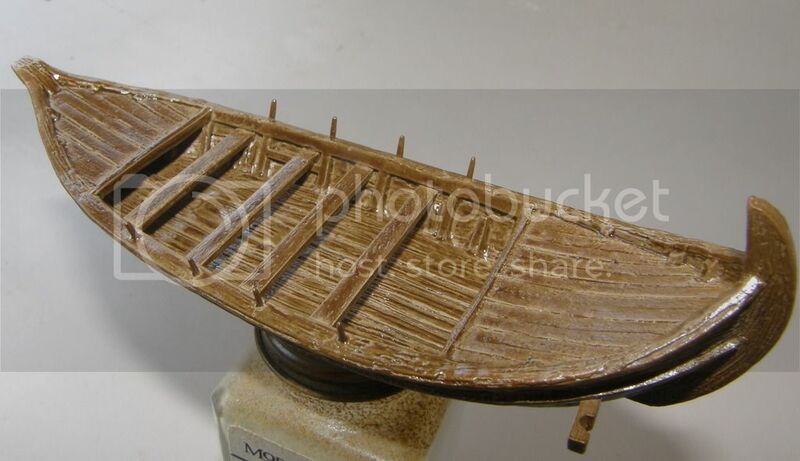 A few years ago, I would have had virtually no interest in an ancient ship kit from resin. After reading this thread, though, now I feel like a kid on Christmas morning! And I am not even requesting one. Thanks for sharing this phenomenal story with us. sberry wrote: Now I am really curious to see those WIP pictures. The horizontal piece of wood that supports the second bench has been replaced after some unsuccessful experiments regarding the shrouds positioning. All the benches have metal reinforcement. While the 2 upper decks are soft enough to to facilitate fitting. This is a little trick of mine. 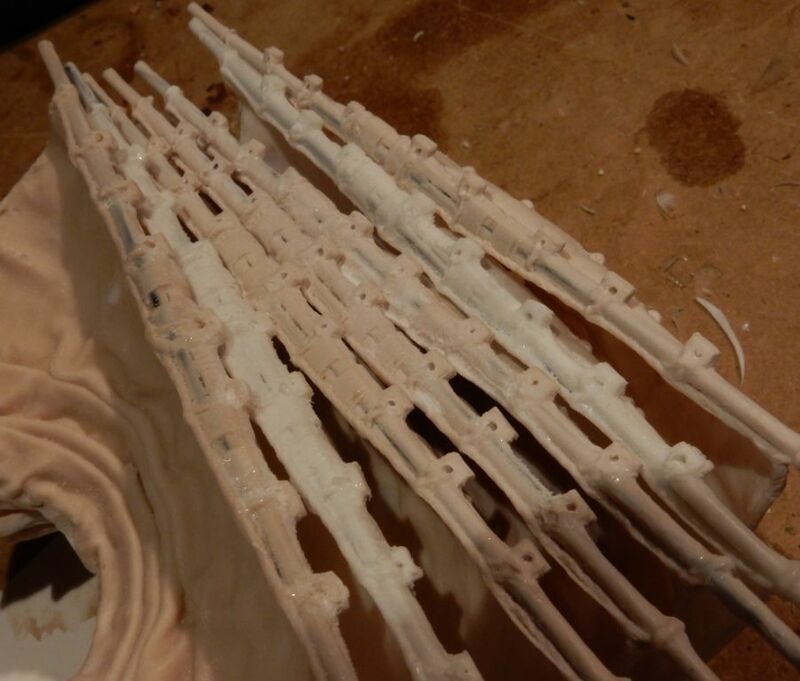 I brush resin in the joints and then I spread with a wide brush like drybrushing. This way I have a very thin layer of resin everywhere. This trick cures small holes, if any. Kostis Ornerakis wrote: This is a little trick of mine. I brush resin in the joints and then I spread with a wide brush like drybrushing. This way I have a very thin layer of resin everywhere. This trick cures small holes, if any. This looks already very good. And your trick with the resin seems a really clever idea, must remeber this when I encounter the same problem. My project has become auto-developing! I can't wait to see more, Kostis. Bluefalchion wrote: I feel like a kid on Christmas morning! Small details trimmed here and there and primed. By the way, I am thinking to add a dowell as shown here for the buntlines (brails). The dowell shall penetrate through the sides of the boat. I think also braces could fasten here. One edge inside and one outside the boat. What do you think?